We are happy to resolve a long awaited customer request about custom rules. Now you can customize your gamification strategy and adapt it to your needs. JQL: Validation of your condition rule with the JQL queries (the JIRA query system). Campare values: Validate the change of field from to another value. User action: validate the action is done by a concrete user or group. A project leader do a release a new version without any open issues. A issue is close by the assignee user and it is closed in the estimated time. For more information about custom rules go to our wiki. New system to customize badges. 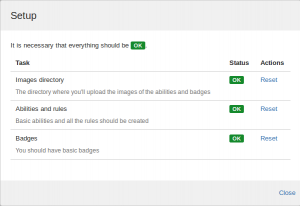 Now you can configure a badge with rules, points, events, groups and also use JQL. More flexibility to configure an adventure. You can add and remove all the users you want. A new customization system for rules. You can obtain point with your own status. More compatibility with JIRA 6. An improved system to upload images, without any kind of image limitation. More information in the users view. At the moment, Jiraffe is available in two languages, English and Spanish. Added new events in the list of rules. We will write a posts with more details about the most important features. Some of this features requires a for itself. After various months of intense work, we have updated a new version of our plugin for Jira, Jiraffe. As you must have realised, we have done an enormous effort in changing the logo of Bug Potion and Jiraffe to something more modern, bright and lively. This change of image is one of the main features of improvement in this new version. We have a new logo for Jiraffe, that we think that you will like more than the previous. The second improvement that Jiraffe brings in this version is the support to data center. This is something that many of you have asked for it and that now we can offer. Now you can also gamify with Jiraffe the new version with Jira for Datacenter. We have solved the error with removed projects. Compatibility from Jira 6.2 to 7.0.7. We hope you enjoy with the addon and keep us informed with your opinions. We have solved some errors. We have changed the management system. Update the plugin to the last Jira version. It’s already available in the market place the new version of Jiraffe, 1.0.2. In this version we have solved some errors and the management is better. Now it’s possible to reset the information to leave it as in the begging or as in some cases, if they haven’t run the updated tasks. Some users weren’t able to use the addon because the necessary tasks weren’t executed. With this new window it’s possible to leave the addon ready to use. Many more events to capture and add points. Even though we know it’s not enough, we will keep adding in each version more and more events that will bring more fun. Customize of abilities, because we know that there are more groups that will use jiraffe that aren’t developers. Badges, if there is an effort there has to be rewards. 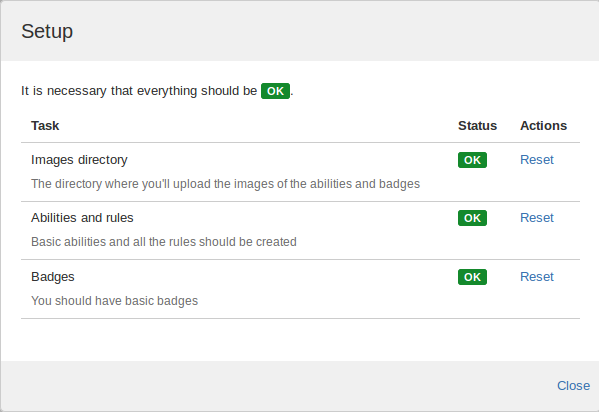 And of course they are customizable, so that you can award the user for his effort. It also corrects small errors, such as the license, that has been eliminated. We are convinced that soon the plugging will be good, but know lots of work has to been done. We are already receiving lots of feedback of the users, above all we have added many more ways so you can give us your opinion in any moment. Now you have feedback forms in all pages of the addon, also in the web and in the blog. Apart from the habitual ways such as twitter, facebook, the blog and also the email. We also have a jira where you can follow the roadmap and follow the incidences, that we will keep putting. In only few hours we where coming back home with thousands of new ideas in our heads and lots of feedback. With David nothing is easy, even something so simple like having a cup of coffee we needed a huge amount of concentration and ability. In this type of meeting it’s where you rediscover why you enter in this world, only because it’s full of wonderful people and with willing to do new and many things. Strengthen our direction, we are going well guys!! Work more hard (i suspected that!!). Prioritize the new funtionalities. 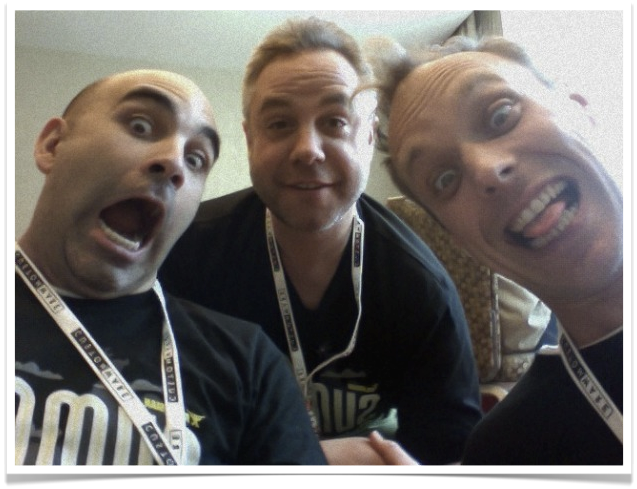 Here we clearly realise who has the knowledge of someone who is totally inmersed in the universe of Atlassian. Funtionalities that we thought that aren´t worth a penny, result to be the more atractive, and others totally opposite. Work more harder, ( I had said it before, but we have to work very hard). The support of the partners, something that we haven´t neither considered, now we think that it’s a very interesting ideas.